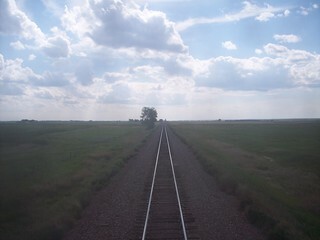 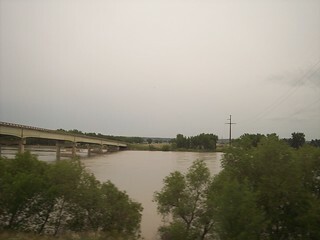 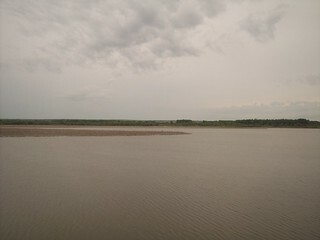 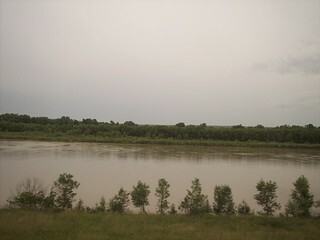 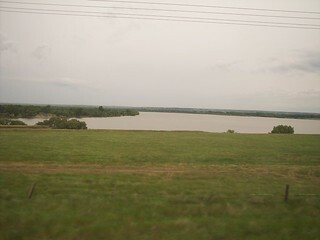 Heading west from Williston the Empire Builder rides along the shore of the swollen Missouri River. 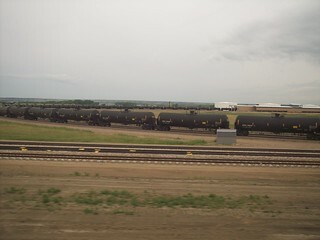 An oil train getting loaded. 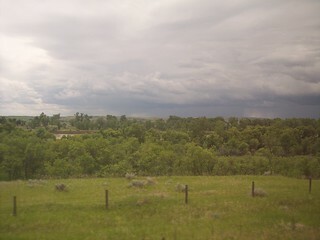 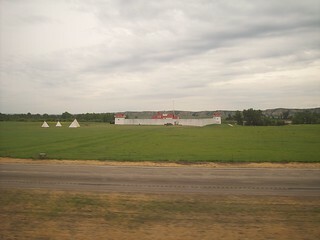 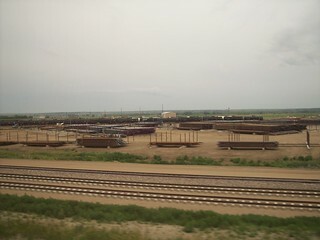 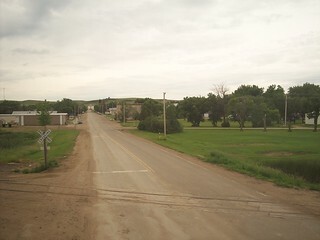 We pass the Fort Union Trading Post. 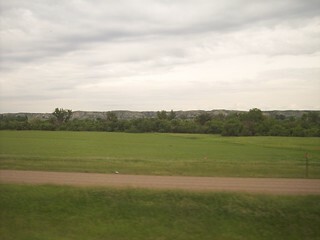 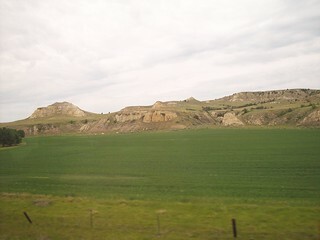 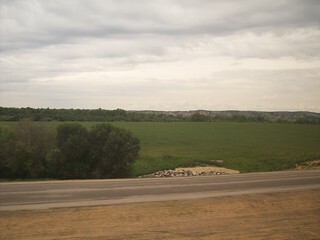 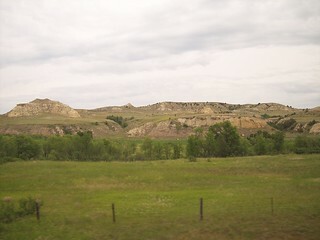 We see some small hills as we roll through Bainville. 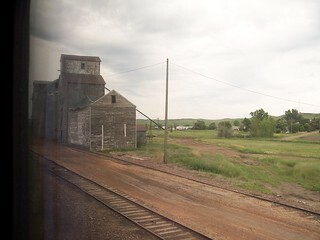 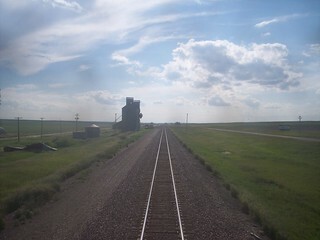 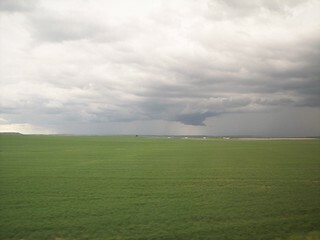 Storm clouds over Montana and the elevator at Sprole.